Getting your product into a new store is hard enough on its own. But once that battle is won, the next one has already arrived. At first glance, you may just want to place your brand among other types of similar products. However, just because this store aisle looks like the way to go doesn’t necessarily mean its the best place in the grocery or convenience store for your product to succeed. Understanding how supermarkets are set up is a great way to learn how to improve your products’ chances of making their way into a customers shopping cart. 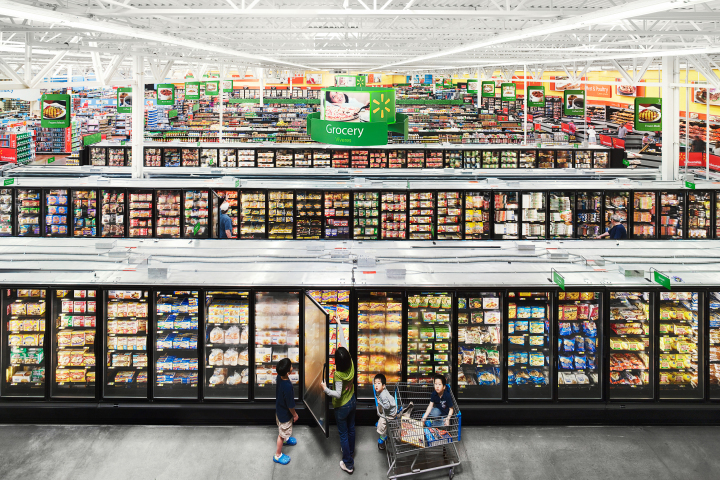 Whenever consumers look at neatly arranged shelves, they’re really looking at live planograms. A planogram is a visual representation of product shelving that is used to maximize capacity and sales. Every field sales and marketing team can benefit from using planograms to aim for more profitable product placement. In addition, planograms make is easy to plan shelf placement and organization across different stores. To learn more about how to use planograms, take a quick look at our “How to use a Planogram” article! Supermarkets have a method to their madness when organizing their in store product placement strategy. Just like you, they know that consumers have a difficult time sticking to their grocery shopping list, no matter how determined they are. This is good for CPG brands because that means your product has the opportunity to chosen! Below are some of the clever ways stores place goods to maximize profit. Cross merchandising is the practice of placing complimentary goods together to grow basket size and drive impulse purchases. This product placement strategy is successful because often when consumers purchase something, they tend to think what else could go well with it. 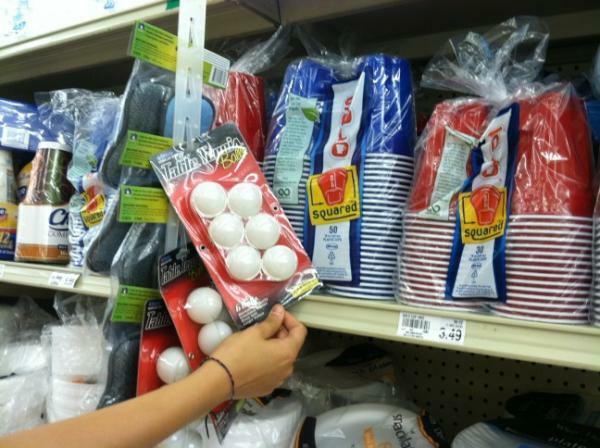 Popular examples include wine and cheese, pasta and pasta sauce, and solo cups and ping pong balls. If your product goes well with something else in the store, it would be a great idea to bring up co-branding the two goods to the store owner. Not only could this increase the sales of your product, but it shows the store owner that you’re thinking about them too. This phrase is probably associated more with shelf placement than any other. For exactly this reason, the eye level shelf real estate is the most expensive because it’s the most valuable to brands. However, there is even more to this idea. There are a few studies that suggest that similar to reading, we scan shelf space from left to right. If you can’t get into the prime, center real estate in a store aisle, learning which side, left or right, works best for your product will help your field teams maximize profits from store product placement and displays. Now that you know more about how supermarket product placement works, here are three things you can do to improve your in-store performance in 2019. Obviously, when you enter a new store, the owner won’t just give you the best shelf placement. Be prepared to explain why your product deserves that real estate you want for it. Remember, nobody knows your product’s strengths better than you do and negotiating with the grocery store owner is the ideal time to highlight those strengths. A great way to back up your statements is by using data. Retailers want to know how your product will increase their profit margin. Providing evidence to them that your brand can perform as well as or better than your competitors will not only help your chances of entering a new store but of also getting the shelf space you desire. Any information you have concerning revenue, how your product should be displayed and promoted in stores and consumer demographics will go a long way towards helping your product succeed. Understand how product arrangement in supermarkets and supply chain management factor into the price of a slotting fee. The more you can reduce the costs associated with stocking your product, the more likely you are to receive shelf placement and have leverage over how much you pay to play. Retailers need proof that your brand will sell should they decide to carry it. This can be accomplished with documentation of historical performance and a solid plan for how to move product in stores. What makes your brand stand out? What can your company offer the retailer that others can’t? Show buyers why passing up on your product is a mistake.